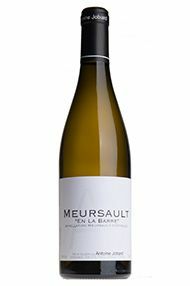 The Wine Advocate - The 2013 Meursault en la Barre has a crisp, smoke and hazelnut nose that springs from the glass like a small excitable puppy. There is real articulation of the terroir here. The palate is fresh and crisp with red apple, lemon zest and just a touch of marmalade adding a little exoticism on the finish. Very fine...though there is little (at the moment) to distinguish it from the excellent generic white.